This list of ePay Faucets?are much like the?Microwallet and Xapo faucets in that they utilizes?a unique singular bitcoin address to track your funds and deposit your earnings into your?bitcoin address. By utilizing these ePay?faucets, you are advised to?use the same bitcoin address for all faucets. Every bitcoin address represents a separate account, and therefore you should only use one address for your account. By using the same bitcoin address on all listed faucets, you ensure that you can earn the minimum balance?required for a withdrawal in a matter of minutes. We recommend using a different bitcoin address for?Microwallet, Faucetbox, and Xapo faucets to properly track your earnings on each platform. By utilizing ePay, you ensure accurate and reputable payouts with high?payout rates, progressive jackpots, and short claim intervals. ePay is currently our favorite bitcoin faucet and micro-payment processor for a number of reasons. You may be wondering why we think ePay outperforms the competition to the likes of FaucetBox and Microwallet. For starters, let’s take a look at the ePay dashboard. The ePay dashboard offers a plethora of stats and earnings reports, including a clean display with your balance, overall earnings, % of growth over the span of 1 day, 7 days, and 30 days, weekly average income, and your latest 10 transactions. Additionally, ePay is constantly being developed into a bigger and better platform. For instance, just within the last week, ePay has been upgraded with new security features, allowing users to secure their account with a login password, they’ve added a faucet rotator and are giving users the ability to have their own rotator as well. Frequent updates and a dedicated development team make ePay a reliable micro-payment processor. Some of our users have asked us why we think so highly of ePay when there are only 4 available faucets compared to the hundreds of bitcoin faucets for FaucetBox and Microwallet. ?The answer to this is simple, reliability and overall return of investment on time and effort. FaucetBox and Microwallet might have a higher number of faucets available, but they don’t manage the faucets themselves and therefore there is a giant gap between payouts, reliability, and safety. 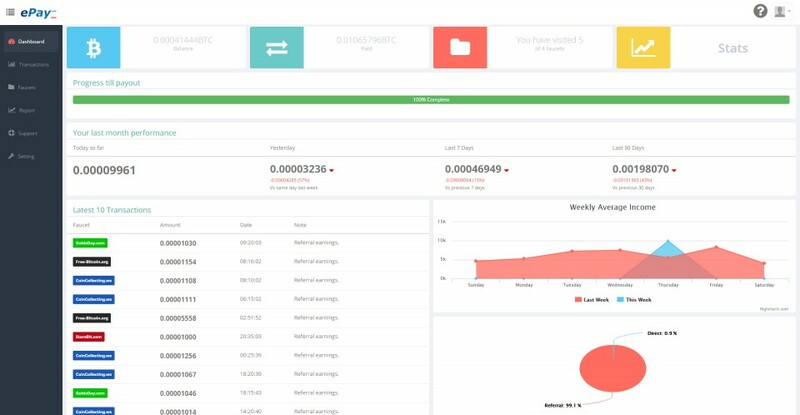 a very large portion of FaucetBox and Microwallet faucets are constantly drained of funds, and some even have harmful software or viruses because there is no quality control. With ePay, all the bitcoin faucets are managed by them, we have never seen them out of funds, and all of their sites have been safe for browsing. 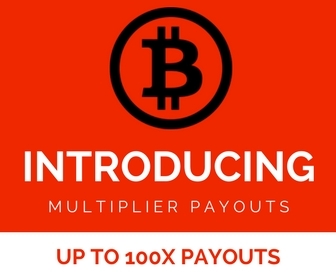 Not only that, but with the relatively short claim intervals, and progressive jackpots, earnings can be equal to or even higher than utilizing the FaucetBox or Microwallet faucets that require you to surf through hundreds of faucets for a payout. With ePay, you can safely browse 4 bitcoin faucets for as long as you want and continue to earn. The short claim intervals really make ePay a profitable system for anyone who regularly surfs bitcoin faucets. In conclusion, If you are looking for high earning potential, reliability, and safety, look no further. We’ve seen ePay grow from a single faucet to building out their?own bitcoin?micro-payment system and consistently adding new faucets that are fun and exciting. If you haven’t tried their faucets, don’t wait any longer, because you’ll be missing out on an opportunity to exponentially increase your earnings.